Entertaining doesn’t have to be expensive! Here’s how to throw a party on a budget with party food ideas from Costco. We have you covered from appetizers to desserts! I wouldn’t call us pro party hosters or planners but we have hosted a few close neighbors and family holidays. We’re lucky that our neighbors, friends, and family are not very demanding because we are super laid back about hosting. If you feel the same way, keep reading. 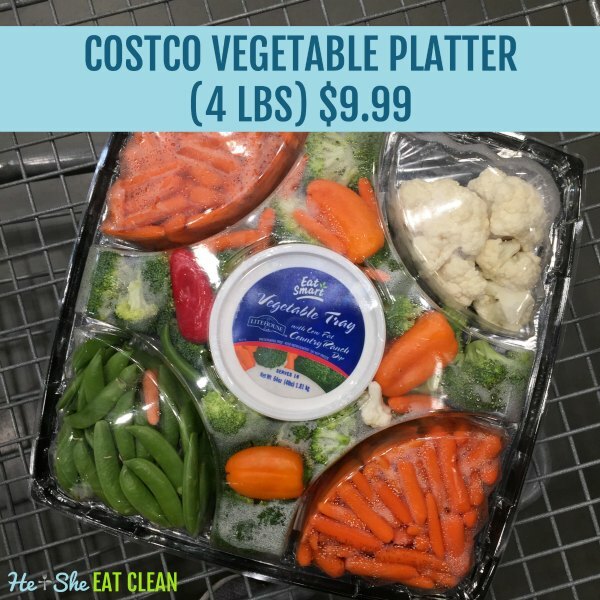 As you know from our numerous previous posts, we love Costco (our most popular Costco post is our Costco Clean Eating Shopping List). When we plan on having people over we get almost everything from Costco. It’s very convenient and cost-effective. You also know by now that we are ALL about saving money. As I was thinking about Super Bowl parties and all of the other events coming up (Easter, graduation parties, school parties, pool parties, etc. ), it came to me that I should share how we host ours on a budget. 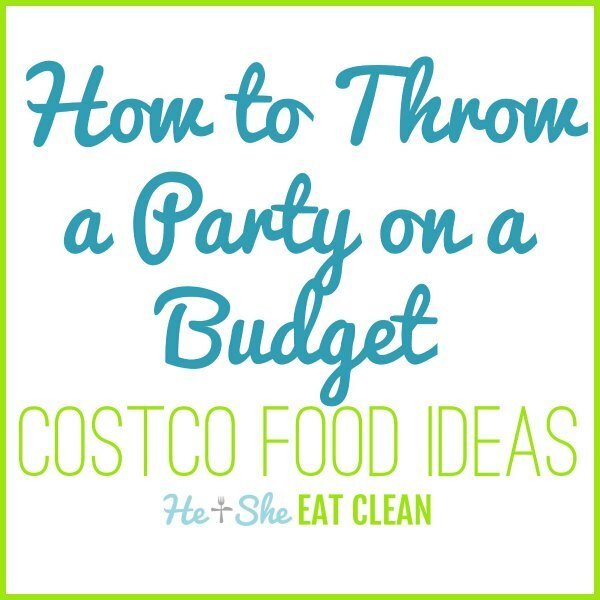 So, here’s how we throw a party on a budget – with party food ideas from Costco! 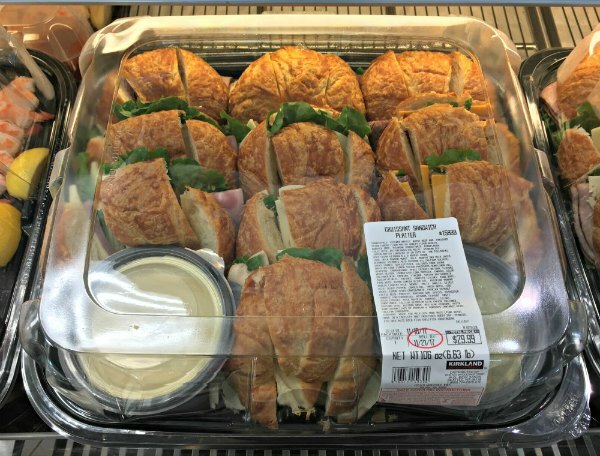 You could host a complete party with a vegetable tray ($9.99), meat and cheese platter ($26.99), and a pie ($11.99) for less than $50. Please note that this post is not associated with Costco (and neither are we, other than we love to shop there!). Prices, selection, availability, and the process to order may vary depending on location so call your local store to be sure your location has the same procedure. Love these ideas? Get more on Pinterest! Come pin with us! Let’s start with dessert first. Sure, Costco cakes wouldn’t be considered “clean” but if you eat a piece of cake a few times a year, I think you will be just fine. Remember, what you do every day matters more than what you do once in a while (I heard that quote from Gretchen Rubin and love it!). Costco cakes are AMAZING. And the price is amazing too. At our local Costco, the price is $18.99 for a sheet cake that serves 48 people. They have limited designs to choose from and from what I understand, they do not do custom work but for the price, you can’t beat it! I have a post on How to Order a Cake from Costco where I keep the designs updated. 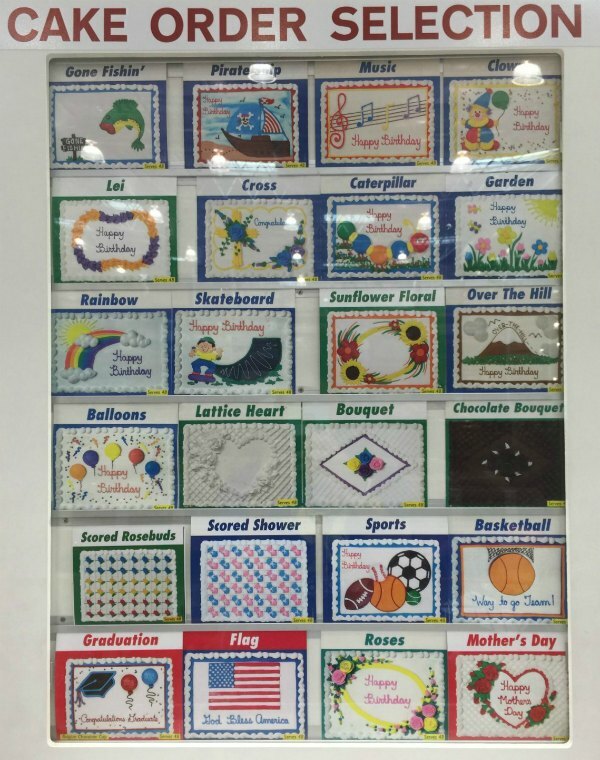 They always seem to have designs for all of the major holidays and plenty of birthday designs to choose from. 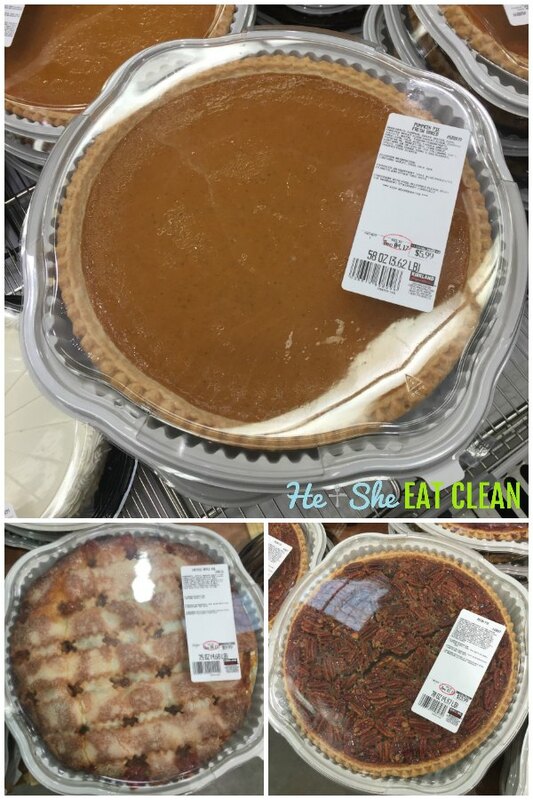 If cake isn’t your thing they also have cookie platters (60 count for $15.99) or pies (varies by season but ours carries: key lime pie, apple pie, pecan pie, and pumpkin pie – 68 oz for $11.99), and cheesecake ($13.99). I’ll take one of each. Please and thank you. Need A LOT of pies? You can special order those too. Let’s go to finger foods/appetizers next. Maybe our neighborhood is strange (?!) but the first things to always disappear are the fruit and vegetable trays! 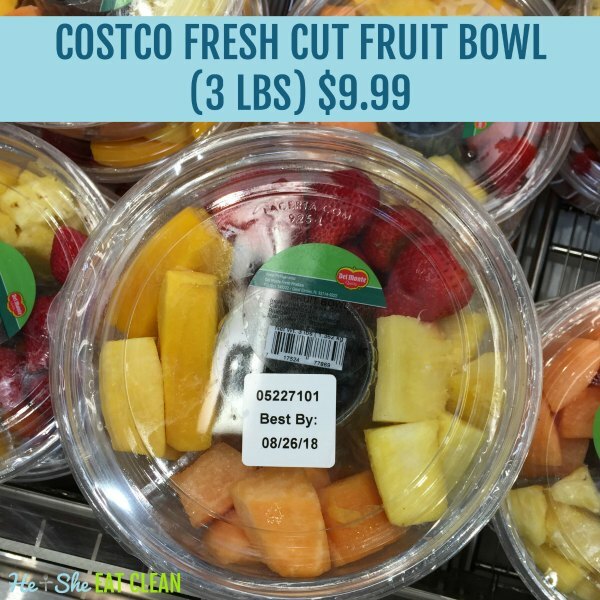 I am just simply amazed at the price of Costco’s premade vegetable trays and fruit bowls. 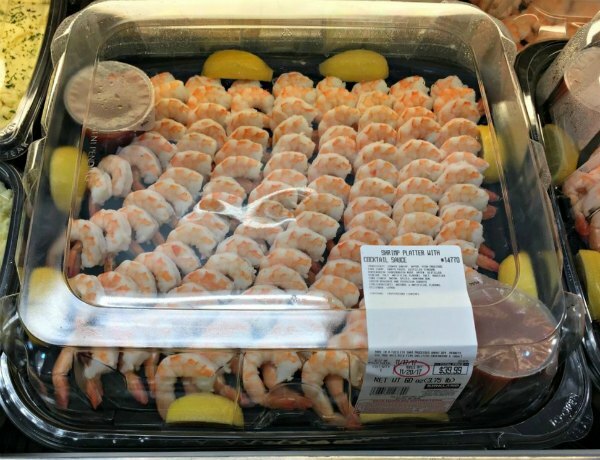 Sometimes we just buy them when we don’t feel like cutting up our own vegetables for the week! Now, on to the real deal. The main course. Scott loves to smoke on his Kamado Joe. For Christmas last year he smoked chicken and pork. 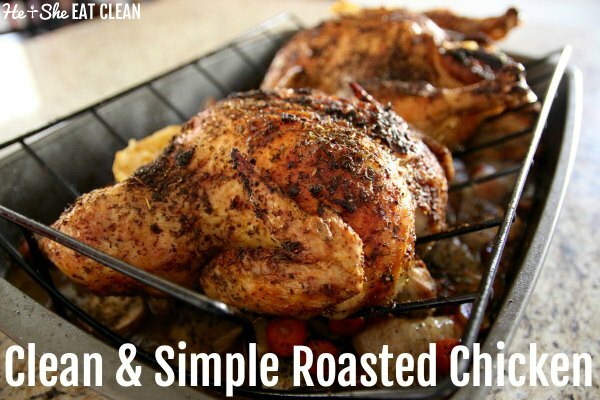 I also made our Clean & Simple Roasted Chicken in the oven. It was all delicious! 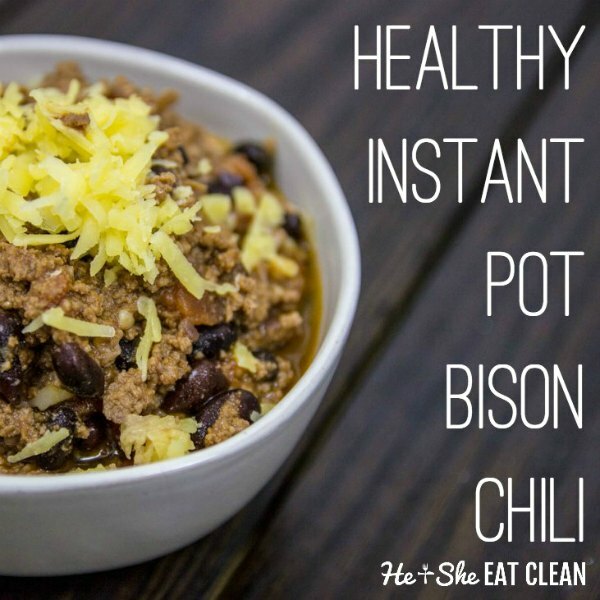 We’ve also made our Instant Pot Bison Chili when we had some neighbors over. It was super easy to make and fed plenty! We spend about $20 on two organic whole chickens (usually around $2.50 per pound) and $20 on the bison meat (2.5 lbs). These prices may vary but those are two very inexpensive options to feed a crowd! If you don’t want to cook, I get it! There’s plenty to choose from where only minimal effort will be needed on your part! 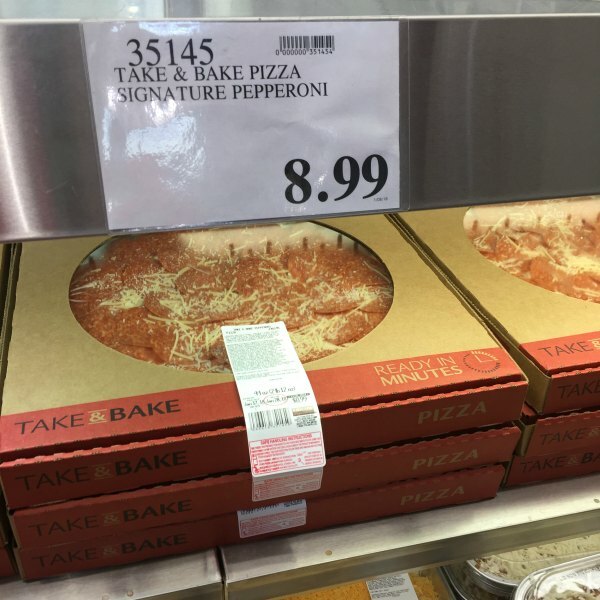 Again, not the healthiest option but definitely a crowd pleaser: Costco’s take & bake pizza for $8.99! Or, if you think the party platters will be enough food, they are a great deal! Thank you so much for the information about party platters! Invaluable! This just saved my life! Freaking out about my sister’s bridal shower, and the info on platters is awesome. Thank you so much! Ahhh! This makes me so happy to read. I’m so glad it was helpful for you, Nikia! You are lifesavers!! Having a panic attack about the insane cost of $150 for appetizers for a 50 person wedding! 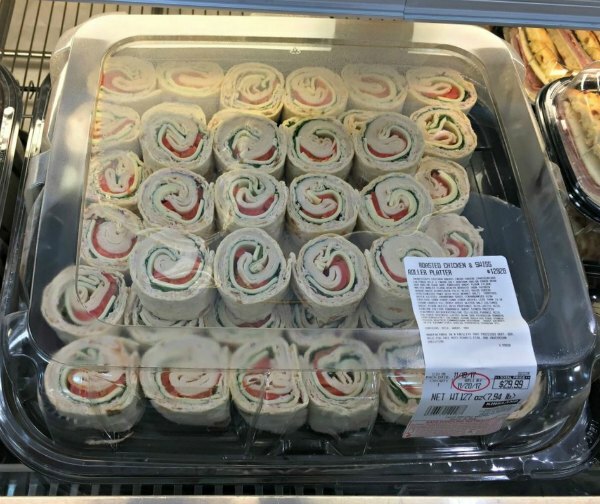 I can now get appetizers from costco on a trial membership for half that price!! I’m so glad this was helpful Kyria! My sister also used items from Costco for her wedding! hi there, do costco deliver to homes? Hi Neona, You can order some items online but I’m not sure if every store offers delivery. What party foods do you have for my vegetarian guests? Particularly for an entree? Hi Mir, I cannot think of any pre-made vegetarian entree options at Costco off the top of my head. You could use their large premade salads and/or the quinoa mixtures they have! Also, definitely have a fruit and vegetable tray available. Good luck!